A Colorado man collected his third big lottery prize, which marked his second major Second Chance drawing win in two months. 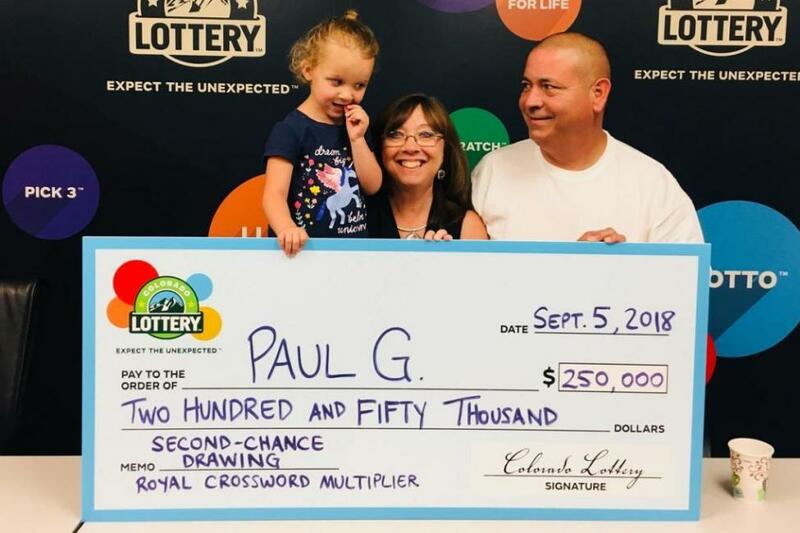 The Colorado Lottery said Paul G. of Colorado Springs won $250,000 in a Second Chance drawing for a non-winning Royal Crossword ticket Aug. 28, only two weeks after he won $500,000 from a Second Chance drawing Aug. 14. Paul previously collected $250,000 from from a Thrilling Crossword scratch-off ticket in March 2017. The winner, who collected his prize Wednesday at lottery headquarters, said he plans to continue playing he lottery in search of further jackpots.